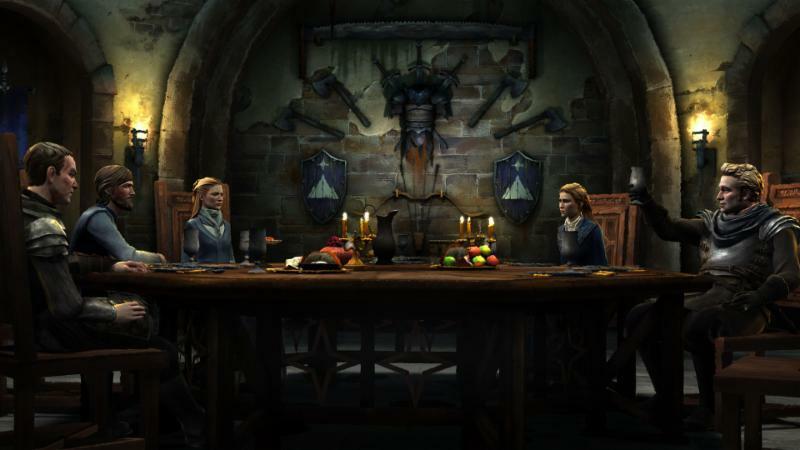 Telltale Game’s Game of Thrones episodic game series that I’m a huge fan of will release it’s 4th of 6 episodes on Tuesday, May 26th, titled “Sons of Winter.” Episode 4 picks up after the third episode, which you can read my review of here. As House Forrester fights to stay alive, Rodrik has an opportunity to free Ironwrath from the Whitehills, but may end up jeopardizing his brother Ryon’s life who is still held captive by the Whitehills. Gared leaves the Wall to head north in search of the North Grove facing the dangers those that follow the show or have read the books know that lie beyond the Wall. Mira must tread carefully in King’s Landing after the royal death, and Asher is set on a mission in Essos by Daenerys Targaryen. I can’t wait to get my hands on this episode, so check back next week for my review of it. now that Im all caught up on GoT I really want to play haha. Maybe Ill wait till the full release.